This is the perfect opportunity to come and see our full range and latest samples. We're also hosting information sessions to give easy and practical enlightenment on the art of album and book design. 5.00 - 6.00pm Wedding album sales + design workshop with award-winning duo, Michelle and James Phillips from Patina Photography. More details and RSVP here. View the finalist books and vote for the People’s Choice Award throughout the week, then hear from the 2017 winner and four finalists on the weekend. The exhibition opens on Tue 1 May from 5.30 - 7.00pm, then daily from 10.00am - 4.00pm until 6 May. Unitec will host a floor talk on Sat 5 May from 1.30- 3.00pm, with short presentations from 2017 New Zealand Photobook of the Year Award winner Allan McDonald, and finalists Chris Leskovsek, Yvonne Shaw, Tim Mackrell, Michael Lamb and Harvey Benge. The winner will be announced at the opening night celebrations of the Photobook NZ Festival 2018. The finalist books will be exhibited at the ceremony, and on Saturday 10 March alongside the Australian Award finalists. Browse the winning and finalist books from the Australian and New Zealand Photo Book Of The Year Awards 2016. Exhibition guests are invited to vote for the People’s Choice Award winner, who receives $500 cash + $2,000 printing credit with Momento Pro. This is the most important annual event for ANZ newborn and baby photography businesses and we’ll be there with bells on. Visit our stand to see our latest products then attend workshops with respected local and international identities including Kelly Brown, Sue Bryce, Kirsten Mackey, 37 Frames and more. 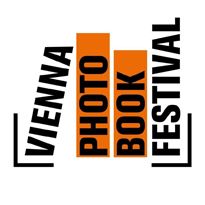 We’re thrilled that the Australian and New Zealand Photobook of the Year Awards 2016 finalists will be exhibiting in Vienna, care of academic and book creator Doug Spowart who will also present on the Antipodean photo book community. Visitors to all the travelling exhibitions will also be invited to vote for the People's Choice Award. The New Zealand Photobook of the Year Award presentation will be held at Studio 541, and the Award exhibition featuring the finalist books, runs until March 17th. Exhibition hours are Mon to Sun from 9am - 6pm and all attendees are invited to vote for the People’s Choice Award winner. Present your dummy book, photo series or page spreads to leading photobook creators and publishing experts for invaluable feedback and advice in a series of four 20 minute one-on-one conversations. The reviews are for photographers with an existing photography project or photobook idea who want to learn about the process and pitfalls of book creation, production and publishing, from concept and funding, through to editing, design, print, pricing, distribution, selling and promotion. Our reviewers will help you refine ideas or photo selection, make layout and design suggestions, explain the impact of book formats and edition sizes, discuss budgets and advice on how to self or trade publish successfully. Becky Nunes will moderate a 90 minute discussion on how local photographers can publish a photo book for international distribution, touching on different publishing models, what sells and doesn’t, who collects and reviews them, what makes them successful and new opportunities. The audience will also have the opportunity to ask questions of the panel. Browse the winning and finalist books from the Australian and New Zealand Photo Book Of The Year Awards 2015. The Awards celebrate excellence in self-published, trade published and unpublished photo books and you can see full details on the Award page. Come visit us at Stand #2 and experience our latest product samples at the Infocus tradeshow, and be motivated by passionate photographers including Susana Barbera, Niki Boon and Troy Goodall. Book a 30-minute session with our Service Manager, Jackie, to discuss your needs and view our product range. The inaugural Photobook New Zealand festival includes a book fair, workshops, presentations and panel discussions that will provide a venue for selling work, sharing stories and learning about photography and publishing practice and opportunities, and exploring the history of photobooks in New Zealand. The first New Zealand Photo Book Of The Year Awards presented by Photobook New Zealand and Momento Pro. The Awards celebrate excellence in self-published, trade published and unpublished photo books and offer $10,000+ in prizes. Entrants must register online and submit their physical book, an winners will be announced and exhibited at the inaugural Photobook New Zealand. Our first year participating in New Zealand’s largest photography festival included a panel discussion on the opportunities and obstacles for photo book publishing in the Asia Pacific. Panelists include Anita Totha of Remote Photobooks, Dr Doug Spowart, the Director of Kaunas Photo Festival, Lithuania and Haru Sameshima of Rim Books. An inspiring conference for established and emerging photographers, with presentations from some of Australasia’s most talented and renowned image makers including Sean Izzard, Lisa Reihana, Nels Israelson, Peter Bennetts and Fiona Quinn. Momento Pro will be hosting a stall on Sun 18 and a panel discussion on Designing + Publishing An Art Book on Tue 20 from 10.30am - 12.00pm with panelists including Anita Totha, David Cook and Simon Devitt.